Lots of times the coldest room in the house can be your basement. Your entire house may be the perfect temperature, yet still the basement acts as if it doesn’t have walls. The heat loss from your basement may be adding to your bills. 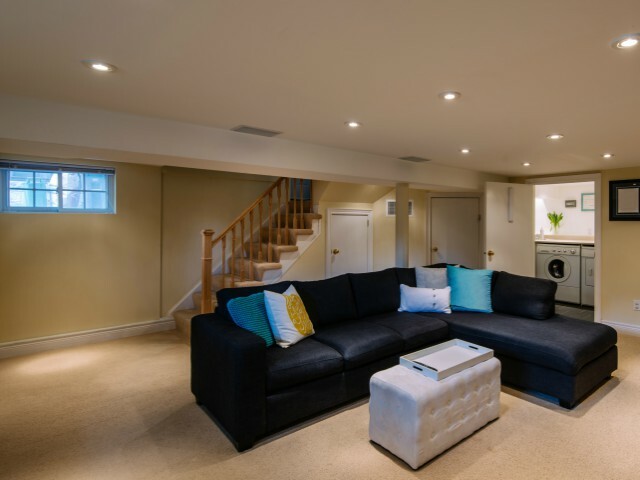 Here are five ways to reduce your heating costs and make your basement more inviting in the winter months. Seal air leaks. Cracks and gaps tend to happen, especially in rim joists, where the wall meets the ceiling, and plumbing and wiring holes on the outside walls. Your larger gaps are best filled with insulation. Anything up to 3 inches can be best filled with foam, and anything ¼ of an inch or smaller is best sealed with caulk. Add insulation. Insulation is one of the main keys for a warmer more manageable basement in the winter months. Fiberglass bat insulation is best for an unfinished basement while blow-in products are the best choice for finished basements. Replace windows. Install block windows or Energy Star certified high performance windows. If replacing older windows is not something you’re able to do, seal them from the outside with caulk and winterize them with a window insulation kit. Check the crawlspace. If you have a crawlspace in your basement make sure it is properly insulated. See https://energy.gov/energysaver/weatherize/insulation/where-insulate-home for more information regarding the materials and how to’s for this project. Install carpet. If your basement doesn’t have any moisture issues then carpeting will make the floor feel warmer. If carpet is not a route you are wanting to go, even an area rug is helpful to make feet cozier. All in all, there are several steps that can make your basement feel warmer and save you money. It is worth it to check out these tips and see if any of them can apply to your winter budget.